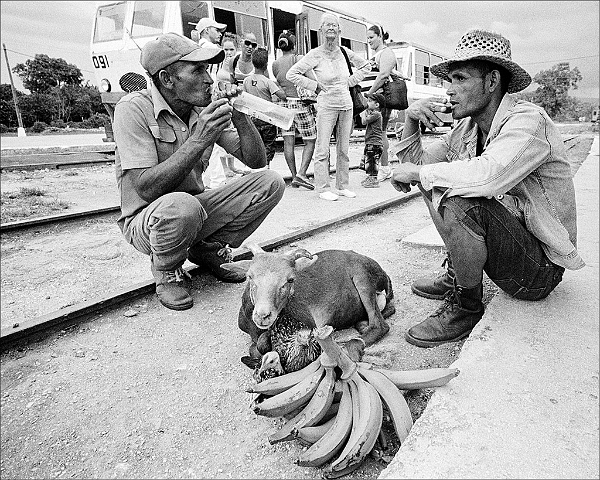 Men with bottle of rum, a sheep, chickens, and bananas - village of Guaro in eastern Cuba. They are waiting to board the carahata, a special bus like vehicle that runs on old RR tracks. These serve as transportation to remote small communities.